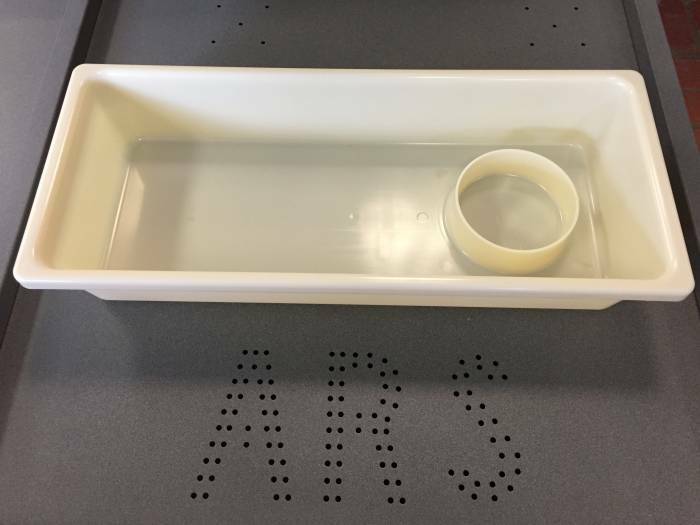 ARS 10 series tubs with deli cup holder, yellow/butter colored. They are made of ABS plastic, which is more expensive and stronger than the usual Poly Pro that we use. Took a gamble on the color, but have not sold very many. These would normally sell for $11.00 in the ABS, so my loss is your gain. Buy one or all, the price stays the same. Brian 317-899-1599.